Manufacturing and prototyping with 3D printing speeds up the design and development cycles for engineers and designers across industries. 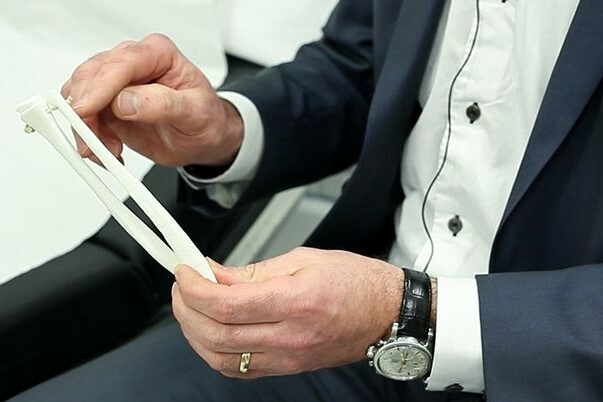 Medical device prototypes need to fit the organic shapes of the human body, and so must strike the perfect balance between size, weight, and shape while functioning smoothly being for tests and iterations. Medical device design company Coalesce Product Development uses stereolithography (SLA) 3D printing to create complex, customized forms that are robust, durable, and easy to post-process. In-house prototyping and testing with 3D printing provide the accuracy of traditional mold production while significantly reducing lead time and cost.